Some call it a civil war: separatist rebels versus Ukrainian nationalists, thus proving the efficacy of Russian propaganda. The truth is, military action in the East was instigated by Russia. It started after Russia annexed Crimea in March 2014—as a diversion maneuver and an attempt to occupy most of Eastern Ukraine where people mainly speak Russian and therefore, according to Russia's ideologists, must be protected from the rest of Ukraine. It was not improvised; rather, evidence suggests that it was thoroughly premeditated. In the spring of 2014, Russia armed and organized the rebels, put them on payroll, and provided instructors to command them. Later on, Russian nationals—as both "soldiers of fortune" and masquerading regular Russian troops—strengthened the rebel mercenaries. Thus, on the front line, there is no disguising of the fact, this is war. 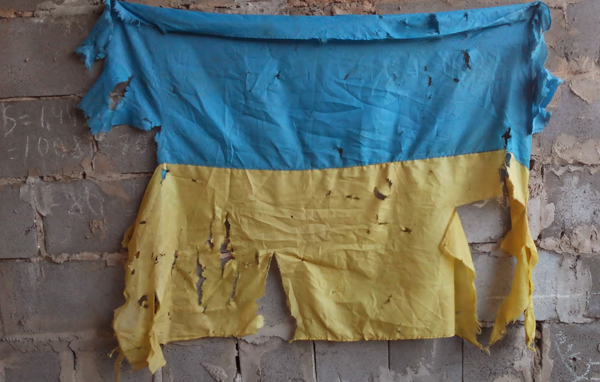 The Pisky village near Donetsk is on the front line of war – the war in Eastern Ukraine, where Ukrainians are holding back separatist guerillas and Russian Special Forces troops. It is probably Rokhmaniyko's past educational and professional background as an architect that are responsible for the compositional finesse of his smartphone images that depict the mundane war tragedies: ruined by artillery shells churches, houses and public buildings, abandoned homes and wrecked lives.